Why a roadtrip to Selma is better than the movie « "TeresaBruceBooks"
Here’s an idea for Martin Luther King Day. Gas is super cheap right now. So for the same amount of money a family would spend on parking, tickets and popcorn to watch the movie Selma you could be one thousand miles into a roadtrip to see the real thing. Travel is the best teacher and to walk in someone else’s shoes you actually have to walk. I’m not about to muddy the waters (blues reference intended) about the beautiful but Oscar-snubbed, historically challenged movie. Others far more knowledgeable about the relationship between Martin Luther King and President Lyndon Johnson have already debated whether Hollywood is a villain for making LBJ into one. You don’t have to watch more than the opening scene to understand how tinkering with history packs it with more punch. The director intercuts Dr. Martin Luther King’s Nobel Prize acceptance speech with four innocent girls in the seconds before the Birmingham bombing. It’s heart-breaking juxtaposition – even if King’s speech actually took place a year after the bombing. Films always take liberties and it’s only surprising to me that Americans expect to learn the whole truth of anything in under two hours. That’s what history books and documentaries are for but we don’t make time for those anymore. So here’s my pitch for a road trip to Selma as an apathy antidote and reality infusion. Travel the Selma-to-Montgomery march route in reverse for the full scope of all we haven’t overcome. The Alabama statehouse is just like any other, its very sameness a reminder that it could just has easily have been South Carolina’s or Mississippi’s cradle of exclusion. In some ways “scenic” Highway 80 doesn’t look much different than it did in the 1960s. It still connects two cities that most of us only fly over — on route to places much more trendy and vibrant. About halfway to Selma stop at the site once known as “tent city” – where the marchers pitched tents and rested weary feet. Inside the Lowndes Interpretive Center you can watch a powerful short film culled from actual footage of the march. Instead of Oprah you’ll meet actual veterans of the protest, hear the wavering voices of those with not much time left to tell their story. But nothing can really prepare you for the sight of the bridge itself. Pedestrian and rusty, it is a steely reminder that history rises out of the ordinary. One foot after the next down a mundane sidewalk marched ordinary people with extraordinary courage. On a winter’s day you might be the only person on the bridge – you can kneel in the center lane and pray in King’s shadow. But then you look up and the squat surly lettering declares Edmund Pettus, Klansman and Confederate general, the namesake of this bridge. The very typeface feels bullying and confrontational. So walk down the eroding banks on either side, past old men passing time with tired fishing poles, and look up at something grander. 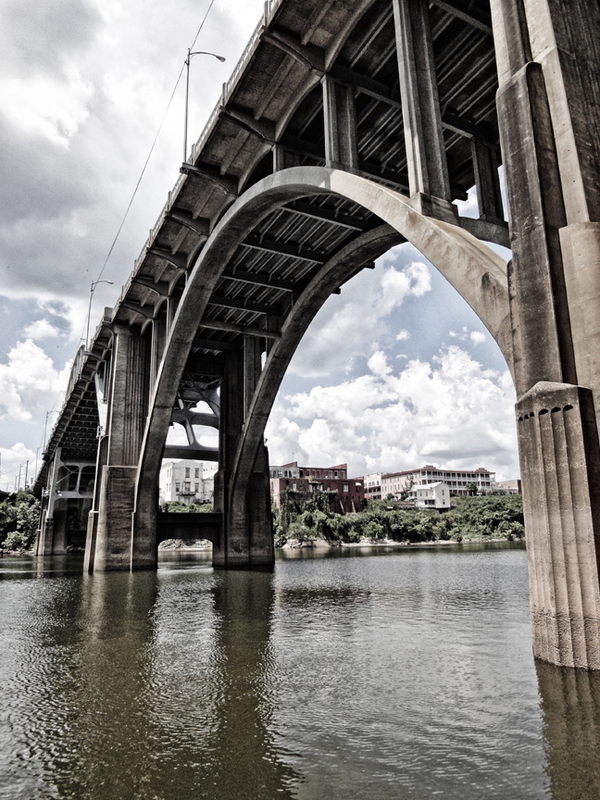 From below, shoes squelching in the muddy edge of the Alabama River, is where you will remember the majesty of this bridge and what it bridged. 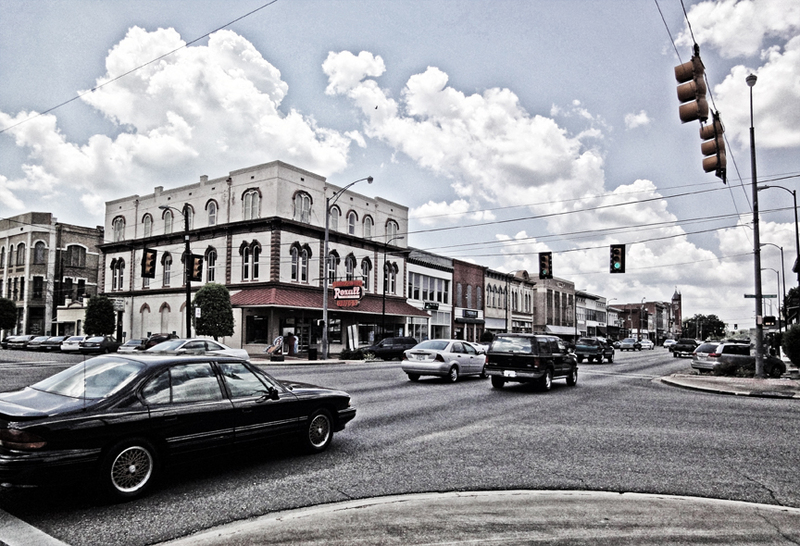 When you cross into Selma itself that hopeful feeling fades. State tourism attempts aside, it feels forgotten. It is just like any other depressed Southern city, its sameness a slap in the face. There’s an interpretive center, yes, but no grand monuments, reflecting pools or contemplative gardens. This was not the future King imagined nor equality commensurate with the struggle. If you’ve only seen the movie you could be excused for wondering if you’ve wandered on set. That little has changed. So this road trip will do what no movie can. It won’t entertain you. But it will make you vested in the truth. As only travel can. LBJ wanted to prioritize the War on Poverty first, then deal with voting rights. But walking the half deserted streets of a discarded city proves one thing: had MLK waited for the eradication of poverty there still would be no voting rights in Selma, Alabama. This entry was posted in travel and tagged President Lyndon Johnson, Roadtrips, Selma, Selma-to-Montgomery March, Voting Rights March.